Guess what’s black, useful in cooking, incredibly small, and isn’t involved in the preparation of Mexican cuisine (even though the name would make it seem like it is). Black cumin seed comes from a plant known as the Nigella sativa plant, which is native to southwest Asia (commonly called black cumin). This seed is an ancient ingredient for food used in cultures across the middle and far east for a millenia. It’s often used as raw seed or pressed into an oil called black cumin seed oil. Black cumin seed is becoming increasingly popular in alternative health circles as the research on this seed expands. In fact, black cumin seed is fast becoming one of the most popular, natural supplements sold on Amazon. And while I’ve written about black cumin seed before, today I wanted to focus specifically on what black cumin seed can do for your immune system. I believe that what black cumin does for immune health is one of the best reasons for taking it and the continuing research that’s been done on black cumin seed supports these uses. While the obviousness of this statement will strike you as somewhat pedestrian, it has to be said. To maintain great health you need your immune system to function properly. Notice I said properly. I didn’t say you need to enhance immune function or improve immune response. Part of the reason for me saying that is there are a lot of people whose poor health actually has to do with a hyperactive immune system. A hyperactive immune system doesn’t always support normal states of health, and my aim here is to show you how black cumin seed will help you maintain normal states of health – which is why I choose to focus on how black cumin helps with proper immune function. Black cumin seed is not a one-trick pony when it comes to influencing how your immune system works. For starters, black cumin seed oil has been shown to help the normal activity of your immune system by assisting it in its job of finding possible pathogens or invaders and helping to eliminate them. The cells black cumin seed assists are known as macrophages and helper T-cells. Both of these cells are essential in suppressing threats that could make you sick. Macrophages are parts of the immune system that find and engulf abnormal cells and helper T-cells are essential in getting natural killer cells to find and attack potentially dangerous pathogens. 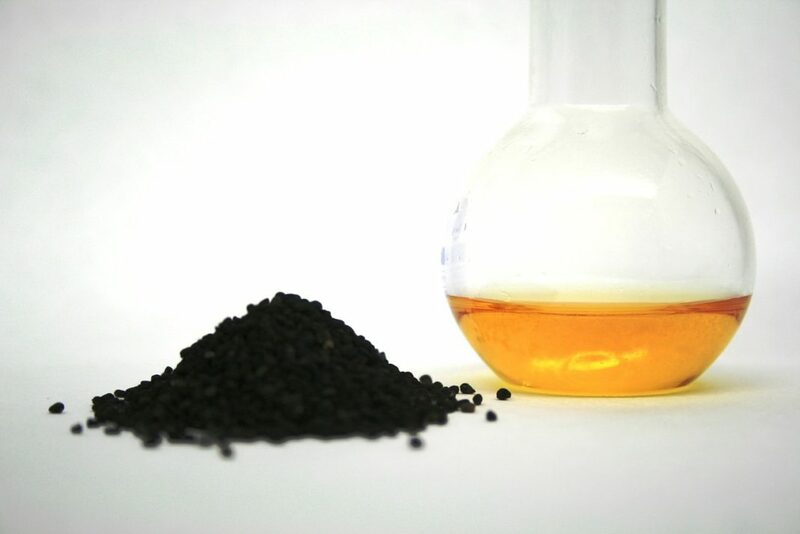 Research shows that when mice were injected with black cumin seed oil (an extract of black cumin seed) it helped to protect against the adverse effects of potential viral infection; and researchers concluded this boosted immune function was the result of enhanced macrophage and T-helper-cell activity. The researchers suspect a compound in black cumin seed known as thymoquinone is responsible for this influence on the immune system. While mice studies demonstrated the positive influence of black cumin seed oil on immune activity, there’s also human evidence supporting its role in keeping your immune system functioning properly. Black cumin seed may also keep your immune system from working too hard and developing an out of control immune response that could result in autoimmune disorders. To stay healthy, your immune system can’t constantly remain “on” it needs only to do its job long enough so you can return to a state of normal health. If the immune system is on high-alert longer than is normal it could result in the development of conditions that cause you to experience brief bouts of “dishealth”. Fortunately, black cumin seed oil has been shown to facilitate a quick return to normal immune function. How black cumin works in this regard is actually quite novel. For instance, in a study of women who complained of occasional stiffness and pain in their joints it was shown that black cumin seed oil could help to relieve this pain. In the experiment, forty women who identified this problem took a placebo for a month and then black cumin seed for a month. In the first month they took the placebo twice daily and at the beginning of the second month they took 500 mg of black cumin seed oil twice daily. At the end of the experiment the participants claimed they felt significantly better taking the black cumin seed oil than when taking the placebo. One of their biggest points of satisfaction was in how good their joints felt in the morning when they noticed the worst types of stiffness. Out of the 40 women who took the black cumin seed oil, 16 of them said black cumin seed oil was highly effective at providing the relief they were looking for. In addition to boosting immune function, black cumin seeds also helps to improve thyroid function, which I’ve written about before. Another thing about black cumin seed you may like to know is while it’s getting to be more popular, it’s also getting less expensive. Especially now that I’ve started to manufacture it. That’s right, to help give my patients access to this powerful healing breakthrough, I’ve started bottling my own. And if you want to add this into your regimen we just released it on our online store.